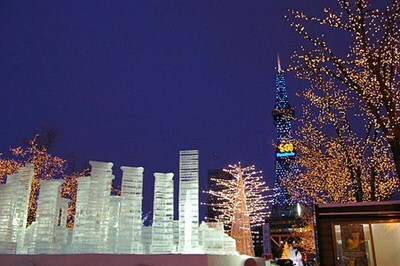 The Sapporo Snow Festival is a famous festival held annually in Sapporo, Japan over seven days in February. Currently, Odori Park, Susukino, and Tsudome are the main sites of the festival. In 2009, it was held from February 5 to February 11. This description uses material from the Wikipedia article on Sapporo Snow Festival and is licensed under the Creative Commons Attribution-ShareAlike License (view authors).